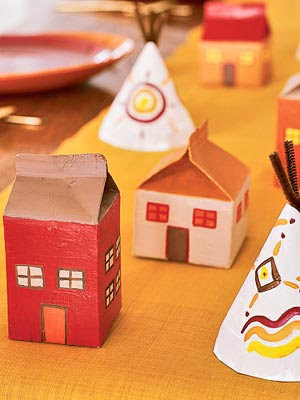 A Pilgram village by Parents.com for children who can pretend! 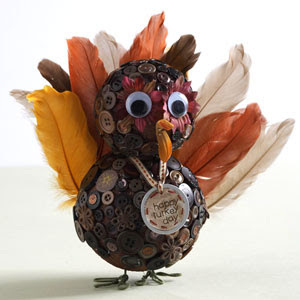 What a great idea using items from around the house. A little something different. A Thankful necklace. This Momma had her children clip out words or pictures out of magazines that they were thankful for and modge podged them to a wine cork. Then they made a necklace so they can continue to remember what they are thankful for this month. These are so beautiful at first I was sure this was an adult craft; but wait her kids did it! 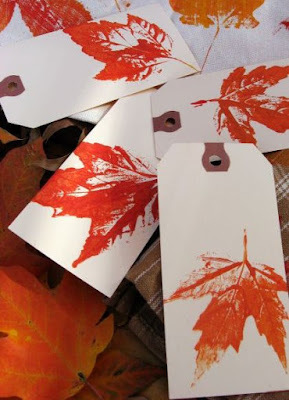 They went on a leaf hunt, grabbed a bottle of paint, and stamped away. She wrote up more details here...They stamped more than tags too!